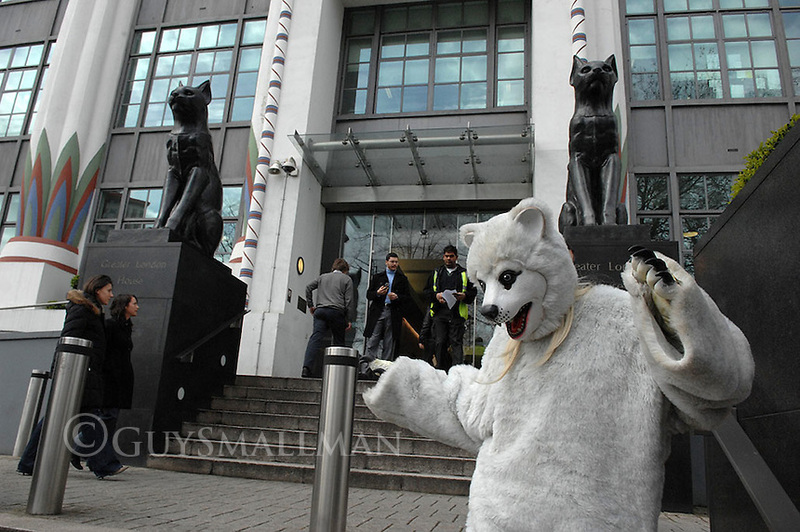 Activists from London Rising Tide hold a demonstration outside the offices of advertising agency Y&R. Meanwhile 3 more activists gained entry to Y&Rs offices posing as corporate clients and barricaded themselves in. The protest was over the association of Y&R with high polluting car manufacturer Landrover. The protest took place on 'Fossil Fools Day'.